Property owner is motivated and priced the property to sell. 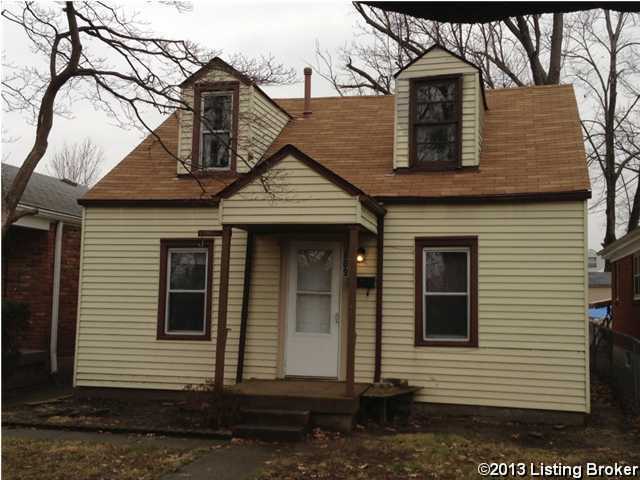 This 1.5 story traditional home has 2 bedrooms and 1 bath. This home features a separate family and living room with expansive living quarters on the second floor. The home is approximately 1167 finished sq. ft. conveniently located off of Watterson Expressway. Recent updates include: New Roof- October 2012, New front and Back Door - 2012, New heating and air conditioning in 2007, new hot water heater in 2009. Call for a showing today. Direction: Watterson West to 3rd Street to W. Florence Ave.
809 W Florence Ave, Louisville KY 40215 is a Home, with 2 bedrooms which is recently sold, it has 1,167 sqft, 0 sized lot, and Off-Street Parking parking. A comparable Home, has 2 bedrooms and 1.5 baths, it was built in and is located at 1406 Woody Ave Louisville KY 40215 and for sale by its owner at $ 62,498. This home is located in the city of Louisville , in zip code 40215, this Jefferson County Home, it is in the NONE Subdivision, and HIGHBAUGHS POWELL are nearby neighborhoods.